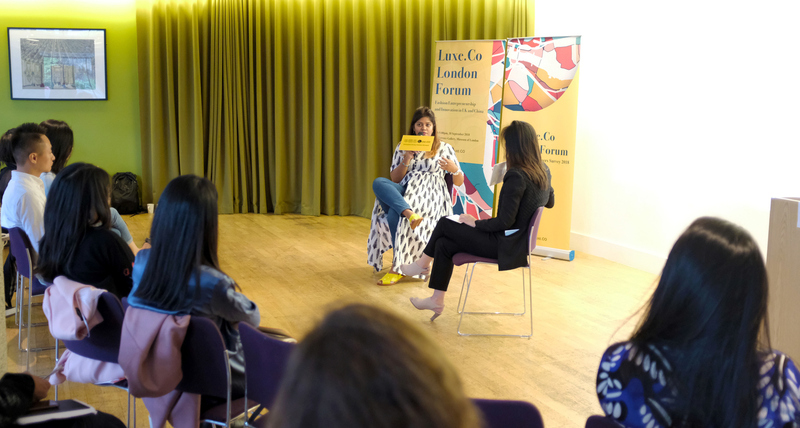 In the third part of the forum, Head of Fashion of Luxe.Co, Elisa Wang had an intensive dialogue with Ishwari Thopte, Manager of Centre for Fashion Enterprise (CFE) Investment Program & Fashion Tech Project, on the roles of fashion incubators and accelerators in growing entrepreneurial ecosystem. 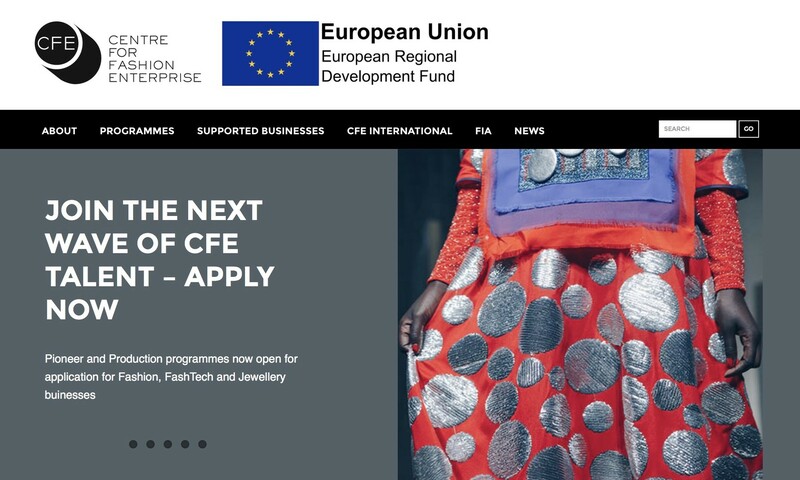 CFE is a pioneering strategic business development initiative in London that incubates, supports and develops leading emerging designer labels in the luxury and high-end fashion sectors, including Erdem, Peter Pilotto, Mary Katrantzou and so on. Ms.Thopte is a passionate fashion tech community builder and brand communication strategist with over 10 years of experience working with luxury fashion and tech startups, NGOs, SMEs as well as high street and premium lifestyle brands. How to Operate a Successful Fashion Incubator? Wang: Luxe.Co is hosting this forum during London Fashion Week, which is known for original emerging designers particularly. Ms. Thopte is an expert in incubating fashion designer brands. Could you please give us a brief introduction of CFE and the operation? Thopte：The Centre for Fashion Enterprise is a London-based fashion business incubator. We partnered with London College of Fashion (LCF), which is part of University of the Arts London (UAL). Partially financed by the European Regional Development Fund (ERDF), we are focused on the UK project supporting London-based designers, fashion and fashion tech companies, to help them grow their business, understand the business side of fashion and create jobs and innovative products and businesses. Wang：Luxe.Co has been tracking the development of Chinese fashion designers and built a database of about 650 Chinese fashion designers. Among them, only one-third are active ones. Many Chinese enterprises are trying to support or incubate them. But it’s rather difficult to find the right way. Could you please share with us how you select designers and support them? Thopte：We are quite lucky to be part of LCF. LCF is very committed to identifying and supporting the most exciting global talent and provides us valuable knowledge and resources. LCF is also a strong brand, in terms of fashion education, which attracts a lot of experts and consultants in the UK fashion industry. We work with them to deliver business support or programs depending on the level of the business. We have programs for starters (6 months), up to businesses that are ready for investment. We help them understand business and investment, how to pitch, and how to speak to investors. We support them on different levels. In London, everybody wants to get together to support designers. There are a lot of talents in London and it is relatively easier to choose the promising ones. London is the major fashion capital of the world. It attracts a lot of interesting global talents. We actually have supported designers from Canada and Greece. We supported a few Chinese designers as well, who were based in London, and a few fashion tech startups with Chinese founders. 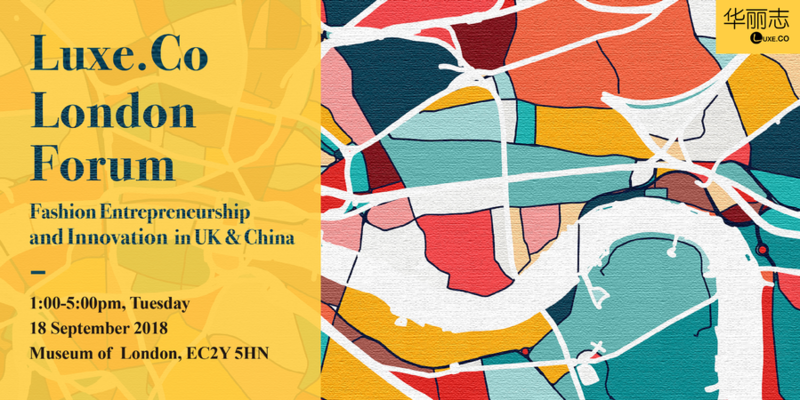 There are many Chinese coming to London for studies or launching businesses here. We have selection criteria. The most important thing is talent, not the country where they come from. Also, their teams or founders need to be willing to take advice. It’s really hard to working with somebody who is not open for advice, or changes. So, we look for talents, who understand the market and are willing to learn, grow and change. They have to apply for programs. Shortlists will be evaluated with our in-house industry panel, including buyers and journalists. Wang: You have communicated with many designers. What is the biggest challenge for them? Thopte: As an incubator, we are very clear on the fact that we do not get involved in the design, because the talent understands design. We are more focused on the business part. The most difficult parts for them are usually finance, cash flow and legal. Hiring and retaining talents are also quite difficult. Usually the most successful brands are designer plus partner. There is a person who manages their business while designers focusing on the design. But finding the right person, who can take care the business, is quite important. We have been trying coaching them since last year. It is very useful for business owners to understand how to manage the company and grow their teams. Coaching is very effective and more focused, with fast result. Wang: The fashion industry and technology have developed rapidly. What trends and changes have you seen in these young designers? Thopte: They are definitely a lot more tech-aware. They are exposed to technology a lot more. LCF is very knee on looking at the industry and the future development factors, which can be acknowledged and included in fashion education. New generation designers are definitely a lot more tech-aware, not just in terms of using technology to create fashion, but also in communicating their interaction with the consumers. Even the target audience have changed, because millennial customers shop in a different way. So designers cannot sustain a brand if they don’t understand how, when and where to talk to the audience. Therefore, it becomes a necessity if you want to be an entrepreneur. 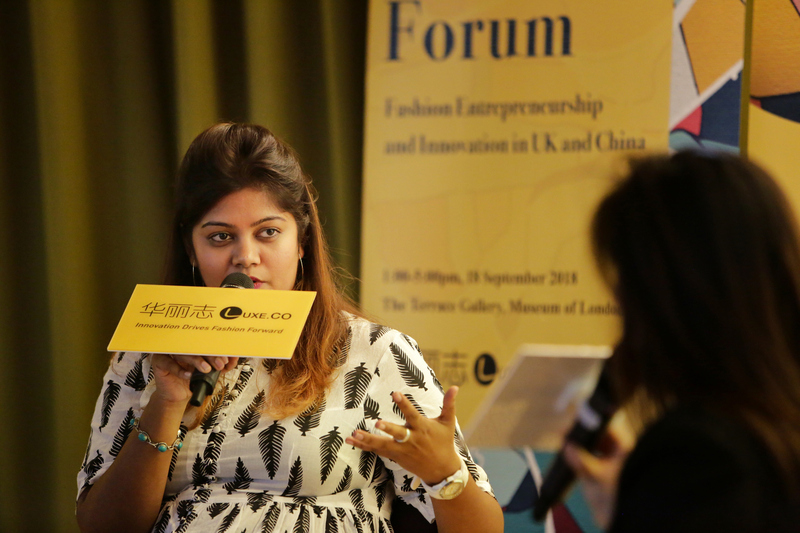 How to Build a Ecosystem for Fashion Entrepreneurs? Wang:: Fashion incubator is different from other incubators. In terms of finance, technology startups may make profit quite fast. But building a fashion brand requires patience and financial support. What do you do to help designers in this manner? Thopte: Previously, we only support fashion designers. Since 2016, we started supporting fashion, fashion tech and jewelry business alongside each other. We have workshops and programs for all the businesses together. They have the opportunities to interact and learn how others are doing business. The result is that they started thinking differently about their business. That’s quite interesting. As an incubator, we are trying to create a community, ecosystem and environment. It is a collective learning, based on trust. There are a lot of dialogues and ideas. We try creating a environment where they can interact and learn from each other. Supporting fashion and fashion tech together and witnessing their growth have been quite interesting. Wang: Many Chinese fashion companies are seeking collaboration opportunities with emerging designers in China and around the world. What is your opinion on cross-over collaboration? Thopte: It’s not easy and requires a lot of hard work. You need to find the same core value and target group and audience. People have realized that it is not enough to do one thing well. You have to understand different markets, different sectors, different industries, and see the opportunities in that collaboration. Our expertise is to facilitate collaborations. In the process of negotiating collaboration, many young designers may forget their own value or forget to look at the bigger picture. Sometimes they settle for what others give them. But actually you can get so much more if you are strategic about it. They need to understand what you can and cannot do in the situation. Leveraging on their own value, they can elevate the transaction of the collaboration. Also, they need to consider legal issues, which make a huge difference. Especially if you are doing global businesses. In China, IP infringement can happen every single day. Therefore, it is super important to protect yourself before going into international markets. Other factors, such as taxes, insurance and logistics, are usually overlooked, but they can cost a lot of money. Wang: Many Chinese fashion designers are debating whether to looking for funding opportunities. What is your thought? Thopte: I think funding is not for everybody. A lot of startups think that as soon as you start a brand and make some progress, the first thing you need to do is to get funding. But actually, a lot people forget that funding or getting investment is like a marriage. Eventually, you need have mutual interests, goals and understanding of what and how it is going to merge or end. Investors only invest in things that make money. If you are not making money, they want to get out or make you do stuff that help them make money. Funding makes sense, if you have the vision as part of your investors. As long as those visions match, it makes sense. You know what you expect and you are willing to make it work no matter what. But if you are looking for investment to try or experiment, it doesn’t work. It can be very painful. Eventually you lose control of the company. We created a network of investors. We have not necessarily partnered with any single fund, partially because the project is non-profit and has restrictions. But the same time, I feel that it is great to be open. The businesses that we support have access to an accumulated bunch of investors. Wang: How many designers do you have in the program? How have they performed? Thopte: We have only run this program since last year. There are 20 to 25 businesses in fashion and fashion tech. For designers, it’s does not mean that if they are involved in this program, they are seeking for funding. The program is designed to help businesses understand what funding means. Sometimes they will say that they do not need funding or this is not the way they want to do their business. It is important too. We have an AI service platform which obtained funding from the investor she met from the program. The platform has performed well. They help solve the sizing issues. In terms of fashion tech, we are quite open, from e-commerce, AI, AR to emerging technologies. We are a non-profit organization. Therefore, we can be open and really understand how new sectors and business models are growing. Wang: China is strong in e-commerce and supply chain. It is also a great moment in China for small and medium brands. What opportunities do you see in China for fashion designers? Thopte: China is a huge market and one of the most important markets for many fashion companies. The biggest issue is IP, which is the only missing link. Many fashion and fashion tech companies are ready to explore the China market. They need some local partners to help them navigate the market without losing the brand equity. It happened previously that as soon as we selected the business, their IP was registered in China. We hope this issues to be solved. Wang: Thanks for your sharing. Look forward to your center performing soon in China.